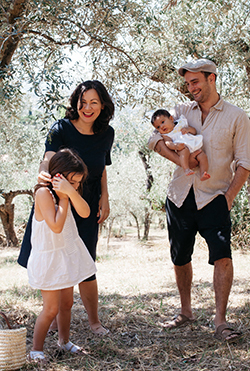 My beautiful friend Giulia from Jul’s Kitchen has inspired me to take part in one of those hypothetical questions that everyone should stop and ask themselves one day: se tu fossi una ricetta, if you were a recipe, what would you be? I spent an entire week pondering the question. Some people can come up with answer without even thinking. My husband, without even blinking said, “Fegatelli.” A Tuscan dish of pigs liver wrapped in its caul fat. It’s so him. How do you define yourself in just one single recipe? Especially when you do not even know how to define yourself when someone asks a more reasonable question like “what do you do?” or “where are you from?” uh… have you got 10 minutes? Maybe I’m taking it too seriously. But Juls has posed a wonderful question, and I want to do it justice. It needs to be something that is me. A mix. A fusion of several cultures over three continents and two hemispheres. And perhaps something a little arty. To be honest, I’m much more of a purist when it comes to recipes, so at first I wasn’t sure about creating a fusion recipe, I felt like I was concocting something only Morimoto could get away with, but after turning the kitchen into a science laboratory, I think I’ve found it. Me in a recipe. 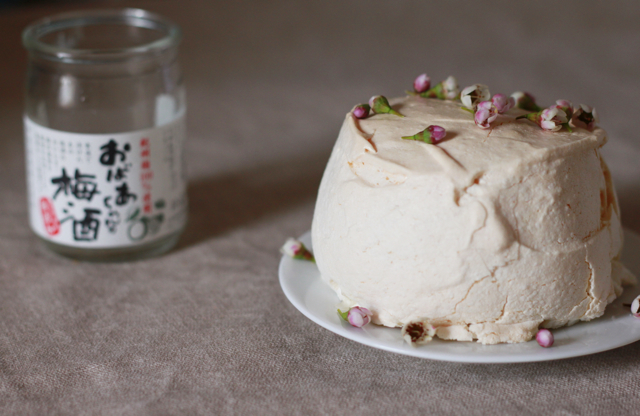 For now, anyway: Plum wine tiramisu masquerading as a pavlova. Or, what my husband has decided to call, tiramilova. Something sweet. I’m a major sweet tooth; dessert is by far my favourite part of a meal. When out at a restaurant, I often choose what I’m having for dinner based on what will go best with the dessert I know I’ll want. 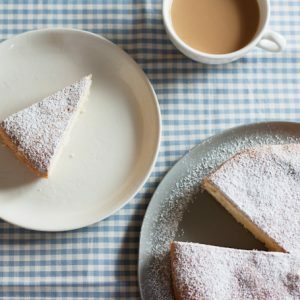 This recipe is in fact a combination of my two favourite desserts. Part Japanese. My Japanese mother taught me how to cook and appreciate food. And I share my sweet tooth with my Japanese grandfather who used to go all the way to Tokyo to get me my favourite sweets when I visited: omanju, a green tea glutinous outside, sweet red azuki bean on the inside. Part Australian. I have also inherited a love of sweets from my Australian father. I spent my childhood in Australia, where my whole family live, I had to include something that reminded me of birthday parties and summery Christmases. A homage to Italy. My adopted home for the last six years and the inspiration for all the food and travel I am obsessed with; I cannot remember the last time I went a day without eating pasta but I imagine it was six years ago. Some of you may know the pavlova already, it is a meringue cake topped with unsweetened whipped cream and fresh fruit, usually berries. Invented in the 1920s in honour of the Russian ballet dancer Anna Pavlova during her tour down under, it has since become a national culinary icon of Australia and New Zealand, and is something that was present at practically every Christmas when I was a child. The Japanese plum wine umeshu, is a liqueur made out of ume, a Japanese plum that looks like a small, unripe apricot, which is steeped in shochu and sugar and is quite often homemade. 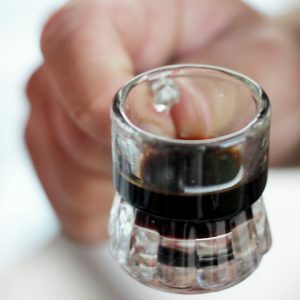 It has a sweet, perfumed, slightly sour taste and is delicious served on its own or with a bit of ice. It also makes a great summer cocktail when mixed with some green tea. The tiramisu needs no introduction, it’s one of the most famous and favourite Italian desserts ever. Who can forget creamy mascarpone layered with coffee-soaked savoiardi biscuits and topped with cocoa? The tiramisu itself is a fusion recipe, being most likely a variation on zuppa inglese, the classic English trifle. For this fact, I think it lends itself pretty well to other variations and recreations. Preheat oven to 150 degrees Celsius. Place egg whites in a clean bowl and beat until soft peaks form. Add sugar one spoonful at a time. Beat for about 5 minutes, until the mixture is glossy and firm. 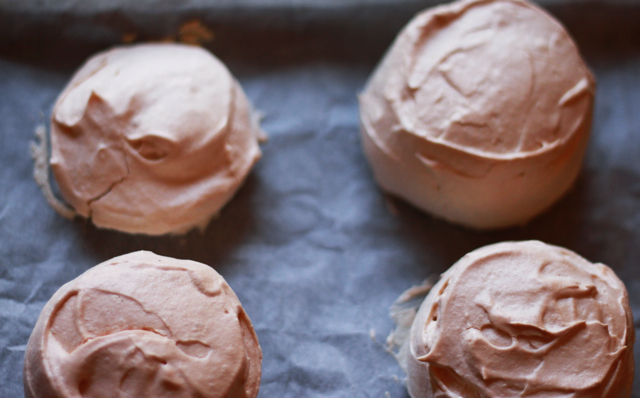 Spoon the meringue onto a baking tray lined with baking paper and form 4 mini pavlovas, using a knife to flatten and smooth the cakes. 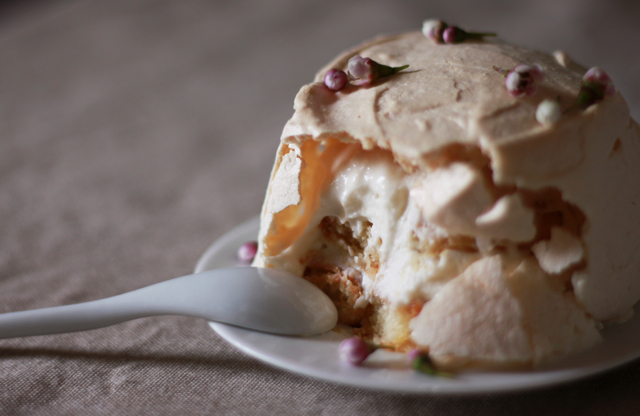 Bake for about 25 minutes or until the sides of the pavlovas are crispy and firm to touch and ever so slightly coloured. Turn off the heat and let them sit in the oven until cool with the door slightly ajar. Using half of the umeshu, dip the biscuits quickly into the wine (you don’t want to over-soak them) and put them to one side. In a separate bowl mix the mascarpone and orange rind. When the pavolas are ready and completely cool, they should be firm and crispy on the outside, and soft, marshmallowy and fluffy on the inside. What you want to create here are pavlova casings, with the insides and bottom empty, but the top and sides perfectly intact. Very, very carefully pick them up one by one and scoop out the marshmallow-like insides with a spoon and add this to the mascarpone. Fold the meringue gently into the mascarpone until you get a smooth mixture, and add the rest of the umeshu, mixing until you get a creamy consistency. Line a ramekin (just a bit smaller than your mini pavlovas) with plastic wrap, layer first a spoonful of the mascarpone mixture, then a layer of biscuits, which should now be soft enough to cut into pieces and shape perfectly to fill a layer. Add another layer of mascarpone and finish with a layer of biscuits, cut to size. Cover with plastic wrap and let sit in the fridge. If you can do this the night before, better, if not, try to do let them sit for at least 1 hour. The longer you leave it, the more the biscuits will soften into a sponge-like texture and the delicate flavours will develop. Turn the tiramisu out upside-down onto your serving plate, add more mascarpone mixture as needed, to round out the size of your tiramisu to fit, and very, very place your pavlova casing on top. 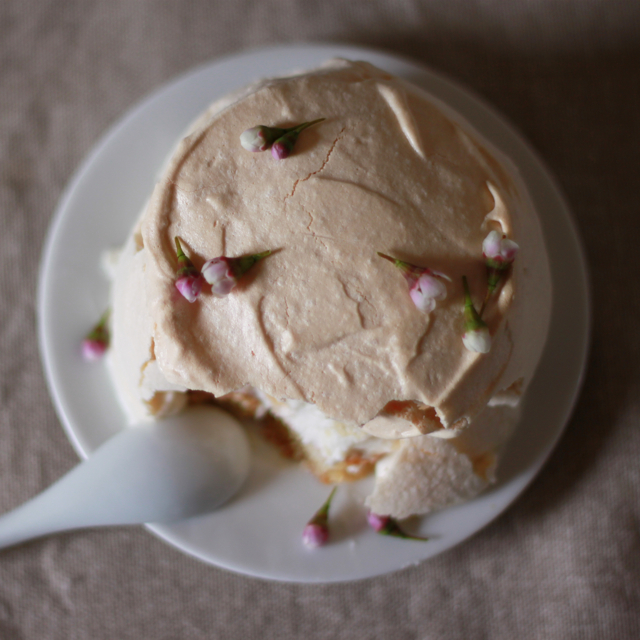 I would recommend making extra pavlovas for this, as you may find they can be extremely fragile and break very easily! 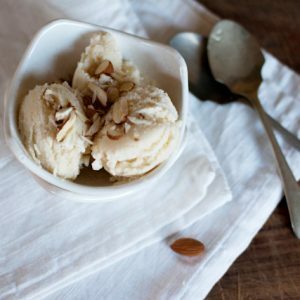 Be prepared for the incredible indulgent quality of this dessert – it is, after all, like eating two desserts at once! Have a look at Jul’s post to see other entries based on the question, if you were a recipe… most of them are in Italian, but you can always look at the photos! 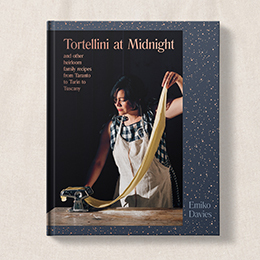 One of the recipes will be chosen to win some lovely little prizes sponsored by Macchine Alimentari. I’m speechless Emiko! I had great expectations for your recipe, but you overdid yourself! The only problem is: why haven’t I tasted it yet?! haha! So looking forward to our meeting on Saturday! I won’t be happy until I haven’t actually tried a slice of tiramilova!!! Ok, sounds like I’ll have to hold a tea party or something and make these! Sara – I don’t think they’ll travel well, so maybe you should come to Florence! I just came across your blog through Juls’ contest and once I arrived here I had to stop! The image of you that comes out of this recipe is so detailed that I felt a bit as if I stepped in your private world! 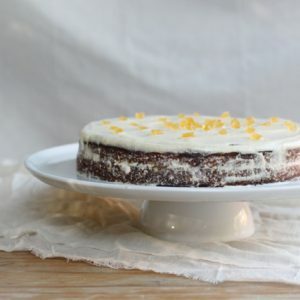 Your description of this lovely dessert is so fascinating that I wish I could have a bite right now :))!! Ciao Daria, thanks, wow. I like to think that everytime we cook for someone or share a recipe that we share something of ourselves too. This recipe perhaps more than others, though! It’s a vision! Really, elegant, but simple, with perfect colours. I love it. Pinedda, yes, it’s very intense! Really, they only need to be small because it’s like eating two desserts at once! Thanks for stopping by.